papermadeprettier: Mysteries are so compelling + March classes released! 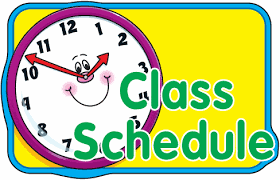 Mysteries are so compelling + March classes released! Ya'll know I love my Paper Pumpkin monthly craft kits. 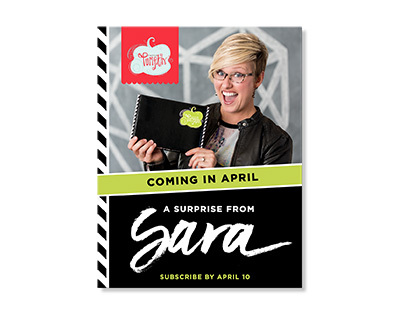 This month, Stampin' Up turned creative control of the April kit over to CEO, Sara Douglass! Her style is, “bold, vibrant, and artistic—with a little bit of sass,” which is exactly how she described the kit. Sara designed this kit for us so be ready to embrace your inner artist and skip to the fun with me and Sara. As if a kit designed by Sara is not reason enough to sign up, there’s more! She’s including a FREE gift inside every April box! But....it's a surprise. What do you need to do? It’s simple—Try Paper Pumpkin by the deadline for this kit which is Friday, April 10. Sign up by March 10th and you'll get the March Kit too! Click here to try Paper Pumpkin. Don't love it? Cancel it! I've been a subscriber for 4 years. Why do I love Paper Pumpkin? Exclusive photopolymer stamp sets and the opportunity to build my collection. Click here to try Paper Pumpkin today! Must sign up by 4/10 to get this special kit! Comment here with guesses on what you think it could be? Subscribe to Paper Pumpkin monthly craft box and bring your kit, or contact me by the 9th of the month prior to order yours! Only $20 for the entire kit of fun! Watercoloring class: Sunday, 3/5 230-530 pm. Class fee includes: watercolor pencils, blender pen, set of 2 aqua painters, shimmery white paper, watercolor paper and supplies to make 8 projects. Live class $62, to go class $70. Or....you supply watercolor pencils, blender pen, aqua painters) $30 live or $35 shipped. One spot left…holla! ***Saleabration ends 3/31, don’t miss the chance to earn freebies….Free item for every $50 purchased, $25 MORE rewards on orders of $250 or more (girls night out anyone??? ), and any 2 FREE stamp sets with our already fab starter kit ($125 in goodies for $99, no shipping!). Email cogbill22@yahoo.com, text or call 501-831-0413 or FB message me to RSVP, book a girl’s nite out or pick out your starter kit! Join us in my private group “papermadeprettierclub” on Facebook for daily creative inspiration!